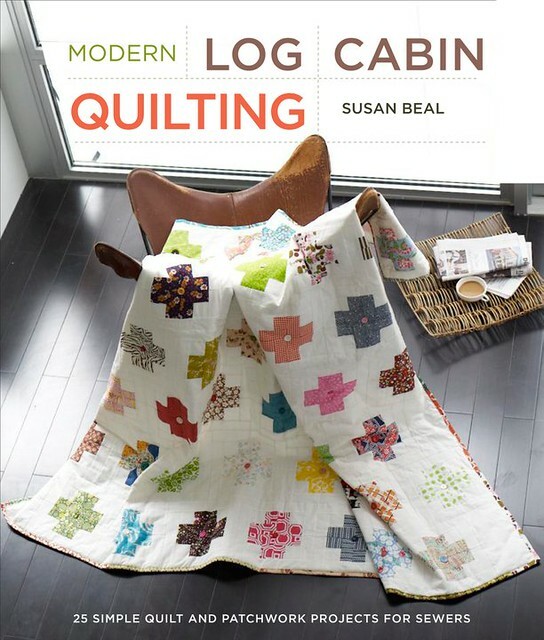 I’m very happy to announce that my new book, Modern Log Cabin Quilting, will be out from Potter Craft on March 22! You can pre-order it now at Powell’s, Barnes and Noble, and Borders, and Amazon, including an e-book version for the Kindle. And I’m doing a book event at Powell’s on Sunday, April 3rd and would love to see you there! I’ll have mini kits to make your own log cabin quilt block for everyone to take home, and will be showing lots of the 25 projects from the book.